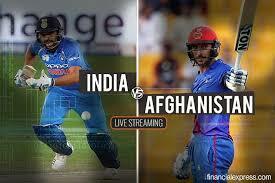 The 5th match IND vs AFG Battle of Cricket in Super Four of Asia Cup being played in Dubai International Cricket Stadium, Dubai on Tuesday 25 Sep 2018. It would be the most interesting match of this tournament. Hi, friends I am Gyan Ranjan. In this blog post, you can get the most appropriate preview and prediction, live cricket score and the full highlight of this match. India has had won all the matches of Asia Cup 2018 till now while Afghanistan lost 2 matches against Pakistan and Bangladesh in Super Four. India is in a good form especially the opener Rohit Sharma and Shikhar Dhawan who did highest runs partnership in the last match against Pakistan. Afghanistan also is in a good form although he lost both the matches of Super Four but after a hard tussle. So this IND vs AFG must be a high voltage Battle of Cricket in Super Four of Asia Cup 2018. Because of India's good form, India has more chance to win this match but best bowling of Rashid Khan could creat difficulty. KL Rahul, Ambati Raydu, MS Dhoni(c&w), Ravindra Jadeja, Manish Pandey, Deepak Chahar, Kuldeep Yadav, K Khleel Ahmed, Siddarth Kaul, Kedar Jadav, Dinesh Kartik. Afghanistan won the toss and opt to bat first. The openers of Afghanistan are on fire. M Shahzad played a great inning got a century and reached the score of Afghanistan to 252 runs. KL Rahul and Ambati Raydu played a great inning as the opener and did more than 100 runs partnership for the 1st wicket but due to amazing bowling performance by the bowlers of Afghanistan India could score 252/9. So this was the most interesting match of Asia Cup 2018 which has been tied.